This beautiful HKliving dining chair is a true addition to your interior! The HKliving dining chair has a lovely soft seat and backrest and is upholstered in old pink velvet. Equipped with black metal base. Sold as a set of 2. This beautiful HKliving dining chair is a true addition to your interior! 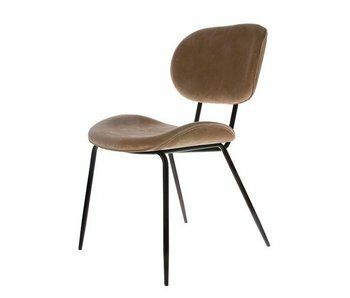 The HKliving dining room chair has a wonderfully soft seat and backrest and is upholstered in velvet sand. Equipped with black metal base. Sold as a set of 2. This beautiful HKliving dining chair is a true addition to your interior! The HKliving dining chair has a lovely soft seat and backrest and is upholstered in cool gray velvet. Equipped with black metal base. Sold as a set of 2. This beautiful HKliving dining chair is a true addition to your interior! The HKliving dining chair has a wonderfully soft seat and backrest and is upholstered in black curduroy. Equipped with black metal base. Sold as a set of 2. This beautiful HKliving dining chair is a true addition to your interior! The HKliving dining chair has a lovely soft seat and backrest and is upholstered in creme curduroy. Equipped with black metal base. Sold as a set of 2. This beautiful HKliving dining chair is a true addition to your interior! The HKliving printed dining chair has a wonderfully soft seat and backrest. Equipped with black metal base. Sold as a set of two pieces. This beautiful HKliving chair is a real addition to your interior. This black handmade HKliving webbing chair is made of wood and cane. Wonderful to combine with the other items from the new HKliving collection. This beautiful HKliving rattan chair is a real eyecatcher! 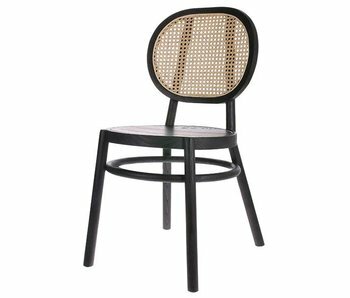 The chair is made of natural rattan and black metal. Wonderful to combine with the other items from the new HKliving collection. 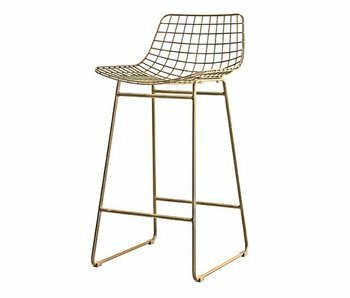 HKliving wire barstool made in brass. With this beautiful HK-Living barstool you complete every party! 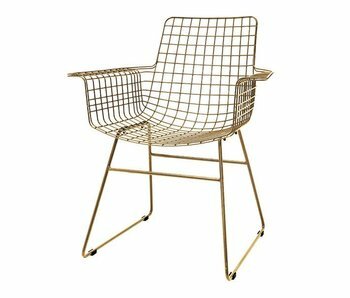 This HKliving chair is made of sturdy steel wire with brass finish. Nice to combine with the new items from the new HKliving collection! HKliving wire chair with armrest in brass. 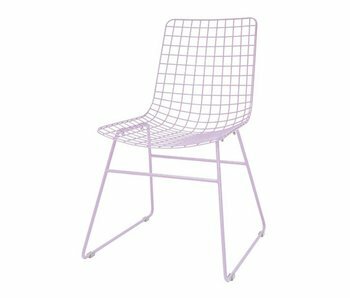 With this beautiful HK-Living metal wire chair you get a real eye-catcher! This HKliving chair is made of solid metal with brass finish. HKliving wire chair with armrest in army green. With this beautiful HK-Living metal wire chair you get a real eye-catcher! This HKliving chair is made of solid metal with army green finsh. HKliving reed lounge chair. This beautiful natural HK-Living reed lounge chair looks stunning in your modern interior! The HKliving lounge chair is made of reed with wooden base and is perfect to combine with the other HKliving furniture. HKliving rattan rocking chair with metal base. This beautiful HK-Living rattan rocking chair looks stunning in your interior! The HKliving rocking chair is made of strong rattan and has a black metal frame. HKliving rattan hanging chair in natural color. This beautiful HK-Living rattan bal hanging chair looks awesome in your modern interior!. The HKliving bohemian hanging chair is made of strong rattan and comes with a 120cm long chain. HKliving rattan barstool in black. This mini HK-Living rattan barstool is perfect to use at home or in the office because of the modest size. The HKliving mini rattan barstool is made of black painted rattan with metal base. HKliving rattan barstool in natural color. This mini HK-Living rattan barstool is perfect to use at home or in the office because of the modest size. The HKliving mini rattan barstool is made of strong rattan with metal base. HKLiving rattan dining chair in olive green. This beautiful HK-living dining chair is mperfect to use at the dining table. The HKliving hokaido rattan chair is made of rattan with strong metal base. HKLiving rattan Egg chair in atural rattan. This beautiful HK-living Rattan Egg chair will look perfect in your interior! 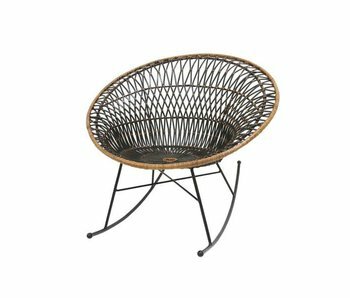 The bohemian Egg chair is made of rattan with metal base and is ideal for lounging all day long.